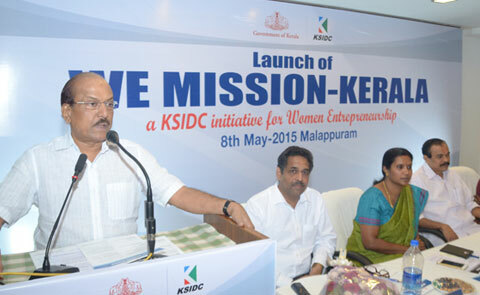 KSIDC, through WE Mission, has been desirous of forging a common platform for long-term sustainability and growth of women entrepreneurs in the State with the active participation of key stakeholders like Management Institutions and Trade bodies under the name ‘WE-CAN’ (Women Entrepreneurs-Collaborating and Networking).Through ‘WE-CAN’, KSIDC had identifed and engaged one Management Institute in all districts in the State who are interested in working with WE Mission in helping the women entrepreneurs and thereby encouraging entrepreneurship among women in the locality. Through MoU, KSIDC and the partner institute agrees to work together in empowering women entrepreneurship in the state by helping them in the preparation of project reports and feasibility studies for availing assistance from institutions, including Banks and conducting Entrepreneurial Development Programmes (EDP)/Management Development Programmes (MDP) for women entrepreneurs etc. 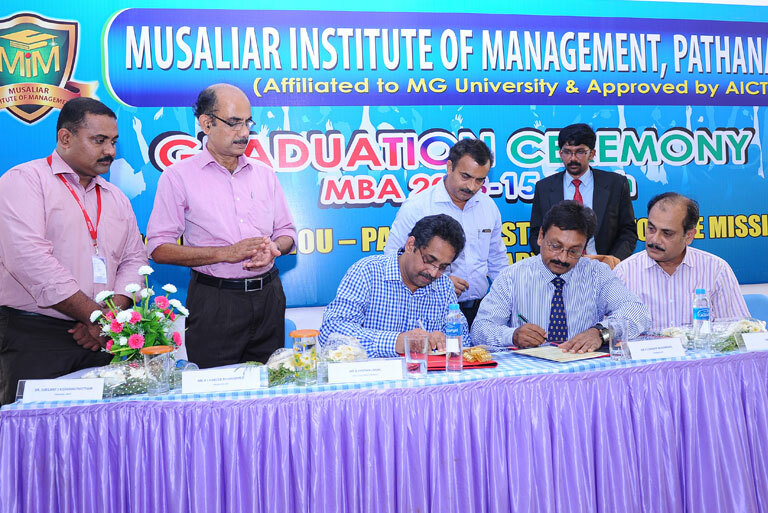 Musaliar Institute of Management (MIM) is the partner institute for the WE Mission in Pathanamthitta District. On February 27th 2016, KSIDC had entered its first Memorandum of Understanding (MoU) with Musaliar College of Management (MIM), Pathanamthitta. 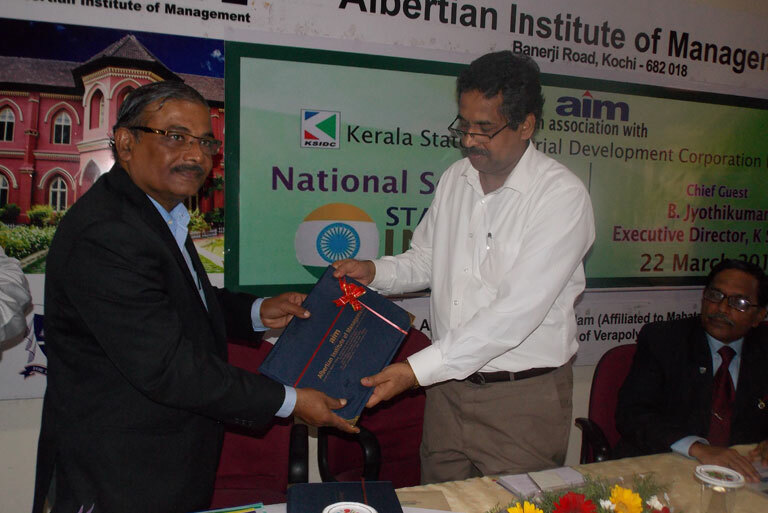 Albertian Institute of Management (AIM) is the partner institute for the WE Mission in Ernakulam District. Memorandum of Understanding (MoU) was entered with Albertian Institute of Management (AIM), on 22nd March 2016. Management Development Programmes for women entrepreneurs. 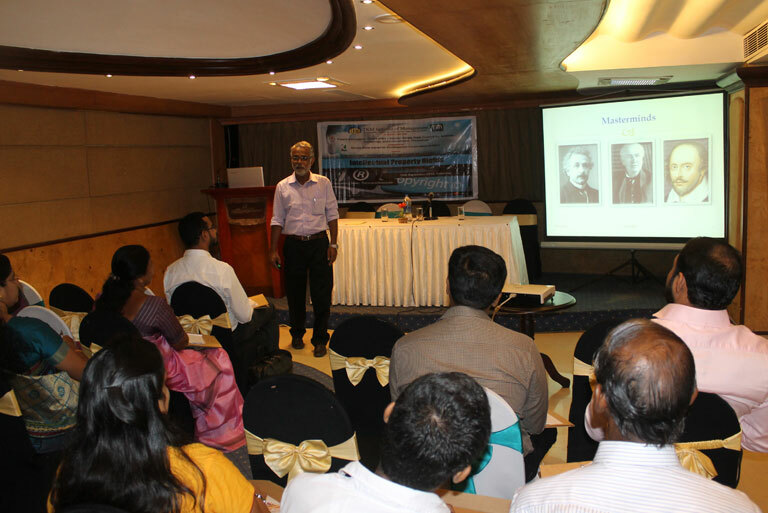 Management Development Programme on Intellectual Property Rights (IPR) in association with TKM Institute of Management, one of our Partner Institutes for WE Mission Kerala and Kerala State Council for Science Technology and Environment (KSCSTE) had been conducted on 19th December 2015, at Trivandrum. The Training on IPR support was given to 15 selected entrepreneurs across the state. Witnessed a gathering of 1500 women entrepreneurs from across the state, WE Summit 2015 had concluded with state government's support in protecting the local industry by building necessary basic infrastructure and thereby encouraging women entrepreneurs in the state. 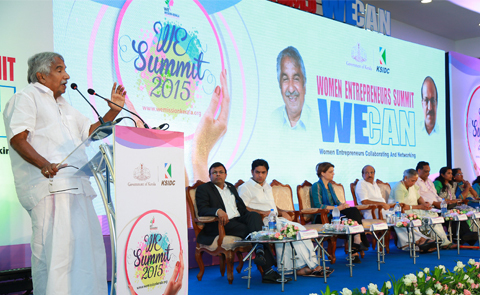 Oraganised by Kerala State Infrastructure Development Corporation (KSIDC) under the Women Entrepreneurship (WE) Mission programme, Mr. Oommen Chandy inaugurated the summit held at Bolgatty Palce, Kochi on 19th November. Mr. P K Kunhalikutty, State Industries and IT Minister, Mr. P H Kurian, Principal Secretary of Industries & IT Department also addressed the gathering. 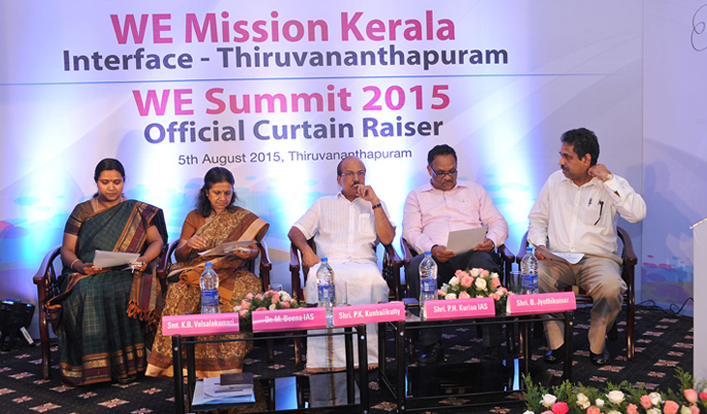 The third interactive meeting and the official curtain raiser for the WE Summit and the website launch of WE Mission Kerala, was held on 5th August 2015 at Thiruvananthapuram. After the interactive session Shri.P.K.Kunhalikutty Hon’ble Minister for Industries & IT had announced the official curtain raiser for the WE Summit 2015. Shri.P.H.Kurien, Principal Secretary Industries, unveil the website for the WE Mission Kerala. Kerala State Industrial Development Corporation (KSIDC) has conducted its second interactive and exposure visit on 25th of June 2015 at Kollam. Shri. B .Jyothikumar, ED-KSIDC, made the keynote address, P.I Rajam Desily, GM-DIC, Kollam, Shri. Dr. Biju, Mission Co-ordinator, Kudumbasree, Shri G.S. Prakash, Deputy Director, MSME-TI were also present at the event inauguration. The meeting had and interactive session between successful women entrepreneurs from the industry and the aspiring participants. Women entrepreneurs from Kollam along with the officials of DIC, MSME and Kudumbashree formed the interactive session panel. The interactive session was followed by an exposure visit to two units owned by women entrepreneurs in Kollam, J-Force Industries, a Solvent cement manufacturing unit at Kollam and M/s Arun Garment & fancy, kids wear manufacturing unit, Kollam. 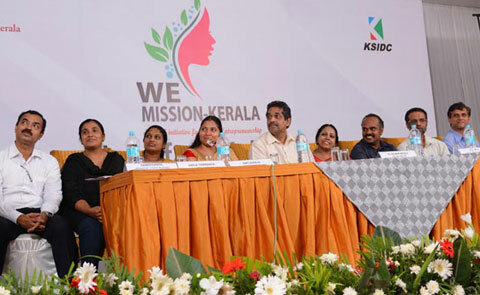 Kerala State Industrial Development Corporation (KSIDC) has launched its new initiative to attract and encourage women entrepreneurship in the state, Women Entrepreneurs Mission (WE Mission). The official launch of WE Mission was held on 8th May 2015 at Hotel Soorya Regency, Malappuram by Shri .P.K Kunhalikutty, Hon'ble Minister for Industries & IT in the presence of Shri P. Ubaidulla, Hon'ble M.L.A, Malappuram and Dr. M. Beena IAS, MD KSIDC. Further to the launch of the event, an interactive session with representatives from Industry bodies and Industry house has been conducted. The meeting concluded with an exposure visit to a successful industrial unit, Sumix Kidwear (P) Ltd, Malappuram, owned and operated by a women entrepreneur.